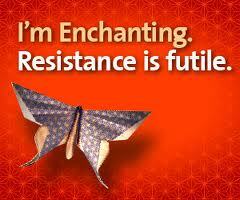 Home > Marketing Strategy	> Is enchantment the new influence? 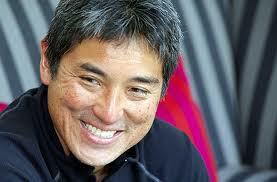 Guy Kawasaki showed how to take influence to enchanting levels at the MIMA summit in Minneapolis. Guy Kawasaki has a new calling. The former chief evangelist for Apple is preaching the virtues of enchantment to bring personal and online influence in the digital age. On October 10, he delivered the luncheon keynote to the Minnesota Interactive Marketing Association (MIMA) summit meeting in Minneapolis. Attendees were treated to highlights from his book, Enchantment: The Art of Changing Hearts, Minds & Actions. When Kawasaki talks of enchantment, he means more than customer service. It is more than traditional persuasion, influence or marketing techniques. It holds a deeper power to motivate voluntary, enduring change in others, interpersonally or on social media. Likeability is a much-discussed concept for both personal and social media success. Kawasaki laid out fundamentals of likeability starting with the importance of a genuine smile for making a favorable impression. A genuine smile shows by the crease in the eyes. “Ladies remember,” he said. “If you have crow’s feet, you are enchanting.” Likewise, online marketers can also put on a social media smile by establishing a likeable tone in content for the Web. Other likeability factors he emphasized are to create an environment of acceptance and to default to “yes” in dialog with others. Having an attitude of helping the other builds goodwill and trust. Building trust begins with trusting others first. Kawasaki gave examples of Amazon, Zappos and Nordstrom as companies who have earned the trust of customers by their trusting business policies. A second element of trust is to apply a philosophy he described as “bake, don’t eat.” Don’t approach your business situation as a zero-sum game, rather be generous in creating value for customers up front. The last point he made for building trust is to find something to agree on when you meet resistance. Starting on a point of agreement, you begin a dialog that builds rapport and receptivity to your cause. With social media, marketers today have a phenomenal way to engage, influence and enchant customers and prospects. A final takeaway from Kawasaki’s presentation is the principle of endurance. An enchantment campaign must be viewed as a process, not an event. Building a relationship takes time and effort, but the rewards can endure. He used the example of The Grateful Dead allowing fans to video record performances, thus allowing the concert experience to live on beyond the event. Guy Kawasaki’s call for enchantment takes influence to a new level of brand loyalty. Below are the slides from Guy Kawasaki’s presentation to MIMA. Like this? Go ahead and share on the social Web!